Most people think that an automotive locksmith can only unlock a car door or change the lock on a car door. Wrong and wrong. The first part is not accurate because an automotive locksmith can do a lot more than just unlock a vehicle. The second part is just wrong because and automotive locksmith cannot change the lock on a car door. It is important to know ahead of time what type of professional to call in an emergency situation. It is also a good idea to know ahead of time that an automotive locksmith can come to you for service. Unlock your vehicle if your keys are locked in your car. Duplicate a car key if you are in need of another set of car keys. An automotive locksmith can make you another copy of your existing metal transponder key that you insert into the ignition of your vehicle or car door lock. 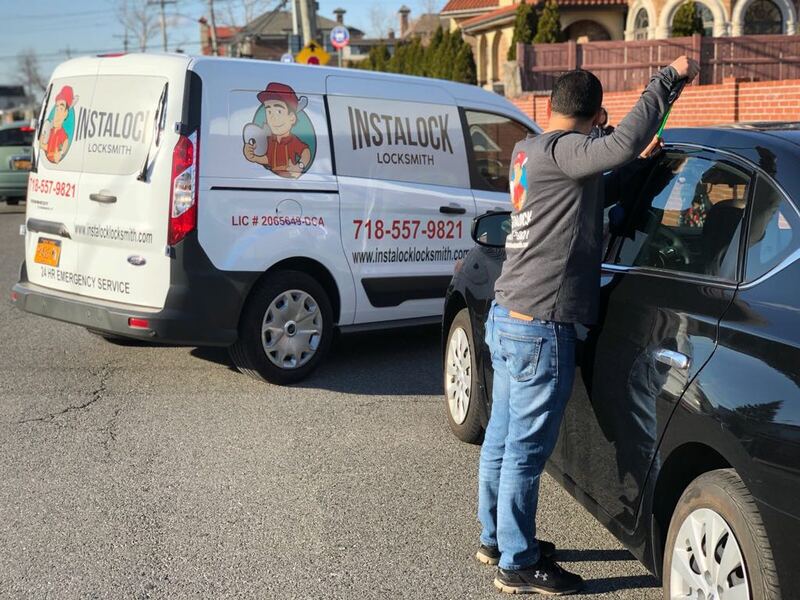 An automotive locksmith can also make you an additional copy of your existing remote fob for your vehicle that you would normally use to lock and unlock your vehicle as well as to turn on your push to start vehicle. Make a car key if you lost your car keys. An automotive locksmith specialist can use your VIN number to purchase key codes for your vehicle and use special machines that he has in order to cut and program a new car key or remote for your vehicle. The locksmith on site can also provide the key or remote that needs to be cut or programmed. Replace the ignition cylinder for your vehicle in the event that your ignition cylinder is worn out and you can no longer turn on your vehicle. Cut a metal key for you in the event that your smart key is locked in your trunk and your vehicle’s security system will not allow you to turn your vehicle on. Once the automotive locksmith cuts the new metal key for you, you will be able to unlock your trunk and use your smart key to turn on your vehicle.